Oooh. It’s quite dark (and political). The book got mixed reviews probably because we’re still not over the awesomeness of Harry Potter, but this adaptation gives J.K. Rowling depth and breadth on her writing. I don’t have any interest in reading the book, but I am compelled to watch the HBO three-part series. Coming real soon! It’s been more than two decades since I read To Kill A Mockingbird. 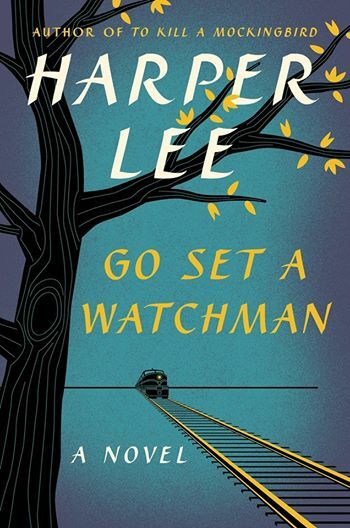 I need to refresh my memory to be updated with this much-awaited Harper Lee sequel. Are you excited? I like Cara Delevigne. She does seem like an authentic person in real life and I guess her rebellious streak makes her a perfect person for her role here, even if I haven’t read this John Green book. This is something fans of The Fault in Our Stars could be waiting for. I know they’ve started production for Looking for Alaska also, but I haven’t heard much about it. My juvenile heart is curious about this movie. After Gone Girl got critical acclaim for its twistedness, here’s another Gillian Flynn thriller that looks like another great adaptation. I better read the book before the movie comes out.